Hoppy Holidays! PG Holiday Party – Dec 15, 2018!! Hoppy Holidays – 2018 Edition! The party will kick off about 5:00 P.M. If you have not attended one of the past holiday events, let us tell you this is one party not to be missed! Although the club will be providing some of the main dishes, this is still a potluck party and YOUR favorite party dish will be greatly appreciated! The menu should mostly reflect past holiday parties featuring Carbonnades ala Flamandes, deep fried turkeys, spiced ham and much more! Suggestions of what to bring would include any kind of main dish but especially all side dishes, veggie dishes, salads, desserts and appetizers. So, if you have a favorite family holiday recipe and want to share it with the rest of us, this is your chance. Please let us know what you will bring. If you have any questions about what to bring, please contact Club Chef Ian at: [email protected]. The dinner portion of the event will be ongoing beginning at approximately 7pm. Please note that there will be very little space available for reheating food, so please bring your food ready to serve, not ready to cook. Crockpots and chafing dishes with sterno fuel would be a great idea of how to bring something and keep it hot. Also, don’t forget to label your containers or anything you want back. Got beer? We need all types of beer, meads, cider and sodas for this event. Pull out your favorite holiday beverage, dust off the bottle or keg and bring it down! 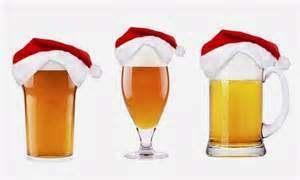 We’ll have the Wave of Beer set up to help dispense your holiday homebrews. If you plan to bring beer, soda or other seasonally festive beverage, please contact Carl at: [email protected] & let him know what you will bring. Everyone who signs up in advance will have a colorful tap tag. On Saturday, Dec 15th from approximately 10am to 12noon, we need help with final setup at Neil’s. On Sunday, Dec 16th, starting at 10am, we need lots of people to help with clean up. The more we get the faster it goes. (probably ending around 12noon-1pm). We need a few more heat lamps and fire pits so please donate them if you can. We NEED lot & lots FIREWOOD! If you can bring wood please do so. December evenings can be cold so please help bring some wood so we can all stay warm. We need more TABLES, e-z ups (canopies), and power strips. We also need jockey boxes and CO2 cylinders and Sanke taps to help make sure all the beverages flow cold with perfect carbonation. We have more kegs than taps on the Wave, and the jockey boxes help out big time. If at all possible, please bring your kegs and heavy stuff to setup on Friday evening or between 10am – 12noon on Saturday. This makes the last minute activities at party time go much more smoothly. The early kegs get the best slots on the Wave. Make sure all your kegs, coolers, tanks taps, and other equipment are well labeled so they all return to their rightful owners Sunday morning. Note, if you can’t deliver beer kegs to the Neil’s house at setup on Friday evening or Saturday afternoon, then please email Carl Townsend at [email protected] to make arrangements to drop off your kegs at his house. It’s time to clean out your closets…Pacific Gravity is having our 4th annual Holiday CLOTHING DRIVE! We will have boxes for any donations you can bring to the party. For clothes & other items, please see the list below which will be donated to The People Concern (formerly, OPCC). They are mostly in need of men’s clothing in large sizes. Clothing can be “gently used” and should be clean. Monetary donations will also be accepted – checks or cash. Special donation envelopes will be available at the party. Tax receipts for monetary donations will be sent to you by mail. Hygiene Items: toothpaste, toothbrush, deodorant, shampoo, disposable razors, bar soap, hand & body lotion,etc. Dress warm for our winter party, bring food and bring beer! Highlighting the evening will be the crowning of the Pacific Gravity Club Member of the Year, and awarding of the trophy for Brewer of the Year. Santa is sure to make an appearance to give away lots of great door prizes (prize donations welcome). All club members and their guests are welcome, so plan on joining us…Celebrate the season, good beer, good food and friends the Pacific Gravity way! http://pacificgravity.com/wp-content/uploads/2015/01/pg_logo.png 0 0 Mimi Bardet http://pacificgravity.com/wp-content/uploads/2015/01/pg_logo.png Mimi Bardet2018-12-09 22:32:392018-12-09 22:32:39Hoppy Holidays! PG Holiday Party - Dec 15, 2018!! Hoppy Holidays – 2017 Edition! On Friday, December 8th, starting around 6pm, we need help with setup at Neil’s. (probably ending around 8-9pm) We will be setting up tables, E-Z ups, lighting, the beer wave and anything that can be done and left out overnight. On Saturday, Dec 9th from approximately 10am to 12noon, we need help with final setup at Neil’s. On Sunday, Dec 10th, starting at 10am, we need lots of people to help with clean up. The more we get the faster it goes. (probably ending around 12noon-1pm). It’s time to clean out your closets…Pacific Gravity is having our 3rd annual Holiday CLOTHING DRIVE! Please see OPCC.org website for more donation suggestions. http://pacificgravity.com/wp-content/uploads/2015/01/pg_logo.png 0 0 Mimi Bardet http://pacificgravity.com/wp-content/uploads/2015/01/pg_logo.png Mimi Bardet2017-11-30 22:19:192017-11-30 22:19:19Hoppy Holidays – 2017 Edition! PG Summer Party — Are You Ready? IMPORTANT: PLEASE EMAIL US WITH WHAT YOU WILL BRING AND HOW YOU CAN HELP! 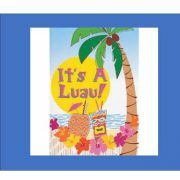 FOOD – sign up to bring Hawaiian Luau-themed dishes to our POTLUCK party. (the club will supply some food but we need YOUR dishes too!) We need ALL kinds of food: appetizers, sides dishes, main dishes (pre-cooked), desserts, etc. All your specialty dishes are welcome! We need LOTS of food to go with all the beer so please email us at [email protected] what dishes you will add to our feast! VOLUNTEERS – we need YOU to help make this a successful party! Please email us at [email protected] . We have lots of volunteer opportunities! Other Equipment needed for the party. Please let us know if you have any of the following and would be willing to loan to us for the party. Please email us at: [email protected] . We will email confirmation back if we need you to bring items on Friday night during setup. Bring FOOD – Hawaiian Luau-themed or any food that goes with beer! Donations for Charity – clothes, toiletries, new socks/underwear, kitchen kits, cleaning supplies, etc. Bathing suits and towels, if you want to use the swimming pool. PG merchandise will be available for sale at the Front Desk. Note for food contributions, we will NOT have use of a kitchen for heating or cooling so please plan accordingly. Please label your food containers so that we can get them back to you. http://pacificgravity.com/wp-content/uploads/2017/07/banner-hawaiian-luau.jpg 345 957 Mimi Bardet http://pacificgravity.com/wp-content/uploads/2015/01/pg_logo.png Mimi Bardet2017-07-17 23:39:192017-07-25 11:56:33PG Summer Party -- Are You Ready? 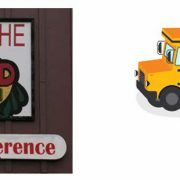 Final Reminder for PG Bus Trip to the Stuffed Sandwich on Saturday, July 8th! There are still some seats available on the bus so come join us for a fun road trip. Friends are welcome. And, don’t forget to bring a brew or 2 to share with friends on the bus. The bus leaves at 12noon from the Culver City Home Brew Supply so please plan to arrive by 11:30am. If you want a preview, then go checkout Stuffed Sandwich’s website for the July beer special offerings. http://pacificgravity.com/wp-content/uploads/2017/06/ss-and-bus-pg.jpg 310 873 Mimi Bardet http://pacificgravity.com/wp-content/uploads/2015/01/pg_logo.png Mimi Bardet2017-07-06 23:20:272017-07-06 23:20:27Final Reminder for PG Bus Trip to the Stuffed Sandwich on Saturday, July 8th! 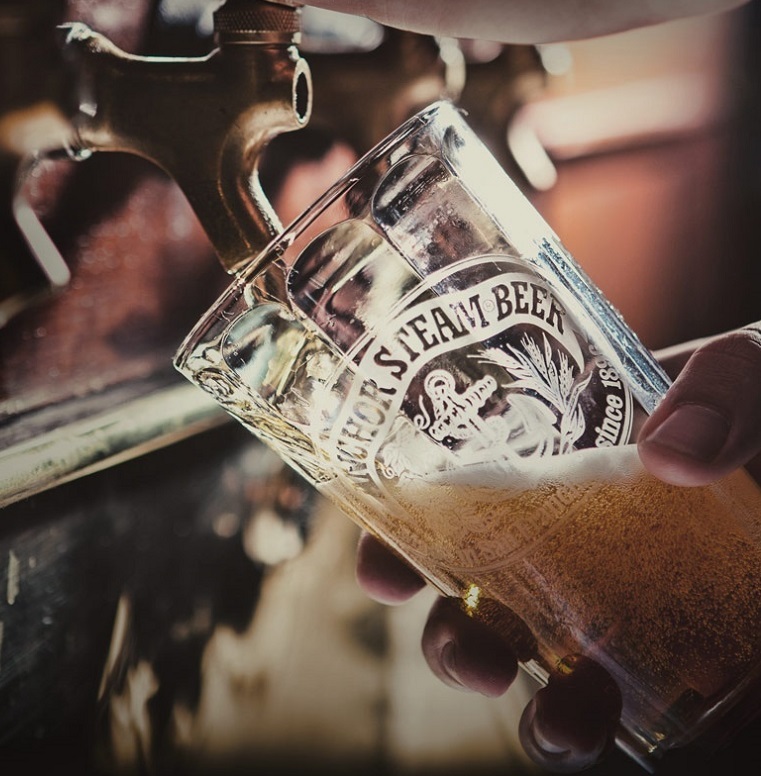 Come join us for PG’s Party at Anchor Brewing in San Francisco — MAY 20th! Just a quick reminder that our trip to San Francisco is coming soon! Are you ready to party?!! PG reserved a block of rooms at a discounted rate for Friday, May 19th and Saturday, May 20th. Last we checked, there are still a few rooms available so please come join us. $199 per night plus taxes & fees. Parking is available at the hotel for valet charge of $35/day. Also, there are public pay lots nearby to store your car. By phone, call Camisha Green at 415-292-1181 and let her know you’re with Pacific Gravity. Many people will be driving (or flying) up on Friday so I suspect there will be a fun pub crawl in SF on Friday night. And, probably another one on Saturday evening after the Anchor party. Those who have been before, know that this is a weekend not to be missed! It’s not too late, please come join us for an amazing and unforgettable weekend! http://pacificgravity.com/wp-content/uploads/2017/05/anchor-logo1.jpg 107 129 Mimi Bardet http://pacificgravity.com/wp-content/uploads/2015/01/pg_logo.png Mimi Bardet2017-05-07 23:08:562017-05-07 23:08:56Come join us for PG's Party at Anchor Brewing in San Francisco -- MAY 20th! The PG Summer Party check list, We need your Help!!!! Checklist for ALL party attendees: Please read through this carefully and respond to us at the designated emails as soon as possible!! VOLUNTEERS – we need YOU to help make this a successful party! Please email us at summer party at pacific gravity dot com . We have lots of volunteer opportunities! Other Equipment needed for the party. Please let us know if you have any of the following and would be willing to loan to us for the party. 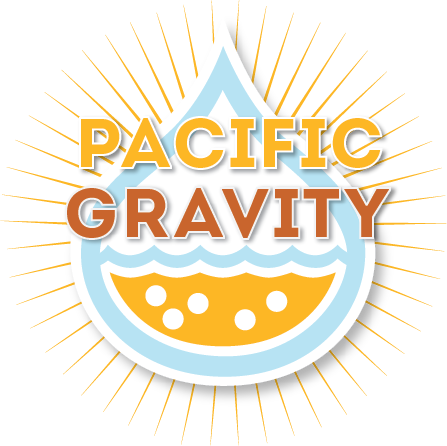 Please email us at: summer party at pacific gravity dot com . We will email confirmation back if we need you to bring items on Friday night during setup. http://pacificgravity.com/wp-content/uploads/2016/07/PG-SummerParty2016_small.jpg 1101 2538 lloyd http://pacificgravity.com/wp-content/uploads/2015/01/pg_logo.png lloyd2016-07-12 14:28:562016-07-17 13:50:56The PG Summer Party check list, We need your Help!!! !